QUEZON CITY, Jan. 17 (PIA) –- Applying in the police force is now a click away, as the National Police Commission (NAPOLCOM) recently launched its On-Line Examination Application Scheduling System (OLEASS). According to NAPOLCOM Vice Chairman and Executive Officer Eduardo U. Escueta, the new system is now at par with other government agencies in terms of online filing and processing of examination applications. “The system is designed to help eliminate long queues formed with the old-walk-in system,” said Escueta. Aside from saving time, he added that the new system is now more accessible to the public. In line with this, the new system will be used for this year’s nationwide PNP Entrance and Promotional Examinations scheduled on April 29, 2012. 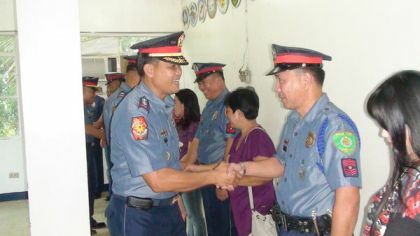 In a release, NAPOLCOM will open the OLEASS on February 1 to 13, 2012. Applicants are advised to secure first on-line appointment before going to any NAPOLCOM Regional Office during the confirmed scheduled appointment. Likewise, applicants are advised bring all necessary requirements and to come at least 15 minutes earlier of the scheduled date. All application forms may be filed beginning February 14 up to March 16, 2012. Meanwhile, Escueta said that walk-in applicants without confirmed scheduled appointment will not be entertained, as well as those who fail to come on the scheduled date of appointment. The NAPOLCOM official added that under the new system, applicants with confirmed scheduled appointment are required to file personally at the NAPOLCOM regional offices. Provincial officers will no longer accept/process any application.